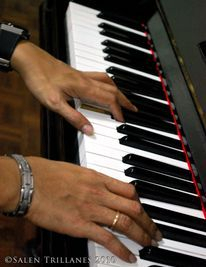 Sarah Bowker offers piano lessons to students of all ages and levels. Students can prepare for RCM exams and festivals, or simply play for the enjoyment of music. Whatever your goal, music can be a part of your life! The study of music can enhance your life through learning patience, confidence, and freedom of expression. Although daily practice and hard work are necessary to achieve this goal, the emphasis is on making music engaging, fulfilling and fun! The study of music theory and history is required for intermediate and advanced students in most conservatory systems; however, it can be useful and fulfilling for any student. Rudiments is the study of the basic building blocks of music; students become familiar with clefs, intervals, chords and rhythm. Harmony is a more advanced study of chorale-style writing and analysis of basic musical forms. History is a survey of western classical music from the Middle Ages to the present. 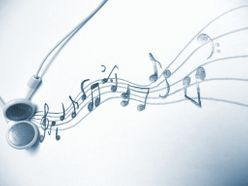 Music appreciation involves studying some music history and learning active listening skills to increase enjoyment and understanding when listening to music. Ms. Bowker offers private lessons in all fields. © 2014 Sarah Bowker. All Rights Reserved.